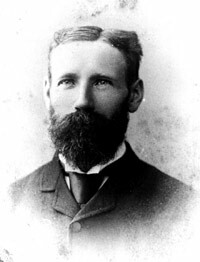 Fisheries research in Tasmania commenced in 1884 with the appointment of William Saville Kent (see also) as Inspector of Fisheries.In order to better study the biology of both oysters and fish the establishment of a saltwater hatchery and laboratory with aquaculture facilities was recommended in Saville-Kent's report for 1884. He began work with a temporary facility constructed at his residence Milton House in Gore Street, South Hobart with salt water carried in the council water cart. In his report for 1884-5 he recommended the purchase of a site "at the end of the Public Esplanade, upon, or in the immediate vicinity of the premises on which the Smelting Works were originally located" or another site in Battery Point. 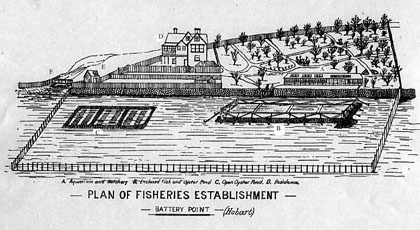 The Government rented Captain Robinson's house in Napoleon Street in late 1885 for £120 a year for a 5-year lease and Saville Kent moved his hatchery from Gore Street and re-created it on the foreshore at the bottom of the garden. Tidal ponds were constructed and by June 1886 14 marine species in addition to oysters were being "cultivated" in them. A sketch of the establishment and the pond appears below from his Report for 1885. The Premier, the Minister for Lands and Works (N J Brown) and the Treasurer (W H Burgess) paid an official visit to the facility in June 1886. "Having examined and made themselves acquainted with all its working details, complimented Mr Saville-Kent on their departure, upon the advanced state of efficiency to which the fisheries establishment had been already developed." The introduction of European oyster culture techniques was perhaps Saville-Kent's best known contribution to Tasmania. Within three months of his arrival he had visited the Little Oyster Cove beds established by Capt Stanley's Tasmanian Oyster Culture Assoc. and comprehensively reported on its state and how new techniques could be applied. In his first year he spent 10 days studying the east coast oyster beds and made visits to Cloudy Bay. This work is described by Sumner and in the Reports of the Fisheries Department between 1884 and 1888. He cultured both the Sydney Rock and New Zealand oysters in an attempt to improve the industry. His own summary of the oyster work in Tasmania appears in his book "The Great Barrier Reef of Australia "(p258-9). Tasmania's first fisheries research facility located in Napolean St. Battery Point. The retaining wall, the small wooden building,E, and the bridge, F, remain today. Saville-Kent lived in the house,D, the low building,A, on the right was the aquarium and hatchery. Oysters,C, Fish pen,B. The upper panel shows how the farm was worked, the lower details of how cultch was laid. The introduction of exotic species is now known to have produced catastrophic effects in the ecology of many countries but the latter half of the nineteenth century was still a period where exotic species of both plants and animals were being established in Europe and abroad. Saville-Kent arrived in Tasmania with the intention of expanding the acclimatisation program started with salmonids to encompass prized marine species from European waters such as cod, herring, soles, flounder and lobsters. Planning was well established to introduce the lobster. With the benefit of hindsight it is perhaps fortunate that he left the State before these imports arrived. Yet he had already commented on the destructive effect of trout on the indigenous fresh water fauna (see above.) He described many new species of fish and was an active member of the Royal Society of Tasmania and a contributor to its meetings. He presented two papers to the June meeting in 1887 and was warmly praised by both RM Johnston and Alex Morton (Director of the Tasmanian Museum and Secretary of the Society). His contribution to the establishment of salmonids is confused by the controversy with the Salmon Commission nevertheless at least in his first few years he spent much time improving the technology of salmonid culture, expanding the Plenty facility and designing new hatching troughs. During his first year in Tasmania he made 19 separate visits to the Salmon Ponds working in harmony with the staff of the Commission. His paper to the Royal Society in 1887 describes suggestions to overcome the critical problems facing the acclimatisation program and demonstrates his knowledge of the salmonid disease then affecting fish at Plenty. (He acknowledges the work of the Salmon Commissioners in that paper) He also proposed using the Battery Point establishment to rear and hold brood stock of salmon. He did succeed in culturing the Cucumber Mullet being assisted by Lt. C.E. Beddome, RN, and restocked some rivers. His most lasting contribution was not in the field of aquaculture but in laying the foundation of government management of wild fisheries. The Royal Commission of 1882 identified many examples of declines in fish stocks due to "overfishing". Some of these were real for example the decline in the coastal whale stocks and fur seal colonies. Others, although real, were not due solely "to overfishing". For example the decline in numbers of some fresh water fishes was largely due to predation by introduced salmonidae, and the collapse of the oyster fishery where some environmental factor appears to have played a part. A few of the claims later proved to be either false or purely local phenomena, eg. marine crayfish. Whilst rejecting the claims by some fishermen of the "destructive nature" of crayfish pots he strongly supported the introduction of a legal minimum size for crayfish and succeeded in having the Act for the Protection of Crayfish approved by Parliament in December 1885. This measure has ensured the protection of crayfish stocks for over 100 years despite intensive pressure in the past 40 years: - the present minimum size is still close to the same overall length. He also supported the claims of commercial fishermen in their campaign to obtain a more reasonable balance between their needs and the protection of salmonids in estuaries (see below). He recognised the need for both enlightened management policies and the effective enforcement of them - in early 1885 he spent two days as an expert witness in a "test case" on illegal netting heard at New Norfolk. The management of fisheries depends on accurate and comprehensive statistics or fishing methods, areas, fishing effort and landings. Saville-Kent began the routine collection of such information from fishermen building on the early work of R M Johnston for the 1882 Royal Commission. As part of the data collection he proposed that all fishing vessels be registered and identified by numbers. This scheme was authorised by the Fisheries Act of 1889 and has been continued thereafter. The editor of the Tasmanian News eloquently endorsed his achievements following the tabling of his report for 1885-6. Particularly praised were his endeavours to fight the pollution of the Derwent where not only was sewerage a problem but chemical pollution from industries such as the gas works was contaminating and killing fish. Saville-Kent's commitment to improved technology was characteristic of his outlook and reflected his breadth of knowledge and commitment to new ideas. He brought to Tasmania the blossoming fisheries technology and research occurring in Europe in the last quarter of the nineteenth century and fostered in Tasmania some of the public interest in fisheries epitomised by the great Exhibitions held in London, Edinburgh, and several European cities. "Now in order to keep abreast of the times in association with the profitable utilisation of nature's productions, it is incumbent at the present day, to abandon the unskilled and haphazard methods of former years, and conduct every operation on a thoroughly scientific basis." 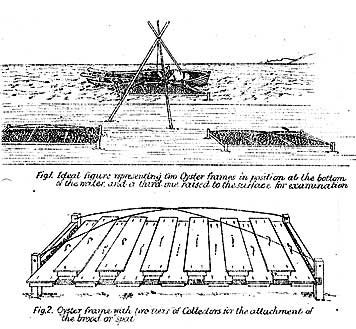 He demonstrated that the trammel net was far superior to the seine net which had until then been the mainstay of the industry. 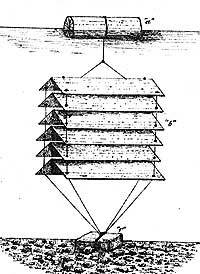 In 1886 he imported and demonstrated the otter trawl, this trawl is still the principal means of taking demersal fish. He also introduced the long-line to Tasmanian fishing. "in (a) diseases of plants and animals, (b) anatomy and development of marsupials unique to Tasmania, (c) any other research approved by the Trustees, and (d) when (b) was complete, research on commercial food fisheries in Tasmania." After completing much pioneering work in research management and development in fisheries Flynn resigned his post in 1932 when the Great Depression diminished the income from Trust and forced a reduction in his salary. The University's role in fisheries research was continued by V V Hickman. The Tasmanian Museum also maintained a keen interest in fisheries and Clive Lord and Joseph Pearson both served on the Sea Fisheries Board. The Department of Agriculture then subscribed to the view that biological investigations should be conducted in parallel with the "investigations and development of fisheries." proposed that the biological work should be in the hands "of a young officer who had instructed and shown an inclination for biology as a hobby during his schooling." This young man was to be appointed to the staff of the entomologist (Dr. J.W. Evans) "a biologist of wide experience and interests" and "undergoing a science course at the University. His work would be directed by Evans and J.A. Tubb, a CSIR research officer who had been sent by the Chief of the Division, Harold Thompson, to work in Hobart in the Department of Agriculture. "It is only with the closest collaboration with CSIR that many agricultural problems in this State have been solved and I feel that fisheries problems could best be attacked in the same way." The Tasmanian Government had agreed to a collaborative program with CSIR with the State's contribution being accommodation of staff and a new research vessel. CSIR replaced Allan Tubb, who had been sent to America to study tuna fishing, with Maurice Blackburn, the son of a prominent Labor politician of the same name, as their officer in Hobart. A. M. Olsen reports that both Tubb and Blackburn (and his successor Fairbridge) considered they had been exiled to Tasmania. Whilst the new vessel, to be called Liawenee, was being constructed the Government bought a 70ft motor launch the Arcadiar and built a platform on the stern to permit seining trials to begin. CSIR lent the Division a surround net that was variously described as a purse seine, a ring net and a lampara for use on the Arcadiar. Trials were made in D'Entrecasteaux Channel for sprats (Clupea bassensis) and in May 1942 a substantial catch of 5 tonnes was made. Both Luke Wright and C T Cox who were guests on the vessel witnessed this catch, their experience directly lead to substantial investment in canneries. Two new positions were authorised, a cadet biologist and a cadet inspector. Bern Cuthbertson, son of owner of the Weerutta, was appointed to the latter post, however he resigned early in 1942 and was replaced by S. Haward. The cadet inspector worked with Tom Challenger who was seconded from the Police to establish a specialised fisheries inspection unit. Thompson was not impressed with the idea of training a cadet biologist, he strongly argued for "open competition for Honours Graduate in Biology and Chemistry." L.M. Mulcahy obtained the cadetship. Stanley Fowler, still based in Melbourne, managed to continue with his aerial work despite the wartime restrictions and the Arcadiar did further useful work under the guidance of Blackburn demonstrating that surround nets could catch substantial quantities of pelagic fish. CSIR arranged for two more nets and a Hobart fish processor H Watt purchased one for his vessel Mary and caught 4 tonnes of mackerel in May. Tom D'Alton's last act as Minister was to officiate at the launching of the Liawenee. The ceremony was held on 20th October 1943 at Prince of Wales Bay near Hobart and Mrs. D'Alton sent the 66ft vessel down the slipway of the builder McKay. It was typical of the Minister's current fortunes that his pride and joy failed to take to the water for there was insufficient depth of water for it to clear the cradle. The Liawenee was completed in February 1944 and began its program of experimental work under Captain H. Johnston an experienced New South Wales danish seine fisherman. The first trip resulted in a very satisfactory catch of more than 9 tons, mostly flathead. The subsequent program outlined trawling grounds from Bruny Island to Schouten Island, particularly with outstanding catches of flathead. The regular weekly Danish seine tests also demonstrated that fish disappear from the grounds for periods of each year. Despite the intentions of Fowler, Reynolds and D'Alton to concentrate on pelagic fish the Liawenee spent most of its time on demersal fish. This appears to have been largely due to the degree of control given to Johnston. But the demands on the vessel to pay its way meant that the success of the initial 5 trips, 30 tons of flathead, tempted the new Minister to expand the commercial side of the operation. In the first five months of operations time at sea was split evenly between commercial fishing and experimental work. A report in Fisheries Newsletter refers to its construction "to determine finally whether danish seining could be carried out profitably in Tasmanian waters", and "for a number of reasons it was not considered desirable to use the Liawenee for surface fishing until about mid-April". When large schools of jack mackerel were found the net proved unsuitable. A report in 1946 refers to "the great importance ..... of the experimental use of the purse seiner" but rough weather had thwarted the work. As the vessel had to spend sufficient time as a commercial vessel to cover its cost of operation limited time was available for scientific research; this eventually led to conflict with CSIR. Eventually more time was made available to CSIR when they agreed to reimburse the State for the cost of the vessel when engaged in such work. The demands to cover costs immediately lead to controversy when the flathead catches could only attract 5.5d a lb. in Hobart. The Government reached agreement with Luke Wright to market half the catch in Sydney for 9d lb. Opposition members demanded that "taxpayers who paid for the vessel should get the benefit from cheaper fish"; the Government declared it would not enter the retail trade. The Mercury joined the criticism, following a number of letters to the editor. The Premier denied that Hobart fishmongers were prepared to offer "reasonable prices" and have refused to tender for the fish: he quoted a price of £112 per ton for flathead in Sydney compared to £14 a ton offered in Hobart. The Liawenee continued to land catches and in May the Government did decide to set aside a portion of catches for Tasmania. Later the Government did "enter the retail trade" and advertised fish for sale directly from the Liawenee in Hobart ("bring own wrapping material". More than 1000 people bought barracouta on the first day at 1/- each or 5d.a lb. The Minister, John Madden, announced new research objectives in August 1946 "to localise the area of consistent catches each week danish seine tests will be conducted but many years of research work will be necessary in order that definite information can be given to fishermen". Madden defended the program against attacks by J. MacPhee in the House of Assembly on 10 September 1946. Despite the direct sales of fish the Division found the Liawenee very expensive to operate and it required continuing subsidies until finally the Government decided it should be leased to CSIR for mackerel trials. The formal charter began in August 1948 with Roy Downie, a former Mate of the Wareen, as skipper, and Blackburn and Olsen as the scientists in charge of a program covering barracouta, shark, and crayfish. The CSIR also commissioned two other research vessels, the Stanley Fowler committed to pearl shell research, and the H C Dannevig for oceanography. Together with the Wareen now in Western Australia the organization had a fleet of vessels that would not be exceeded. The Liawenee charter proved successful and was extended for another year. CSIR published an important consolidation of these pelagic fisheries investigations entitled "Measures of Abundance of Pelagic Fish". During the time the Liawenee was on charter to CSIR jack mackerel were unusually scarce. Nevertheless the first truly commercial scale catches of pelagic fish by a surface net in Australia were made by near Maria Island in April 1947. The CSIR purse seine net used on the Liawenee was lent to a New South Wales fisherman, Bill Warn who sailed his vessel Eden Star to Hobart to collect it and caught 16 tons of mackerel. This was also the largest catch of any fish anywhere in Australia to that time. Warn later reported that with a better net even larger catches could have been regularly made. When J J Dwyer VC replaced Madden he insisted on a program for the Liawenee which directly assisted fishermen. At the LFA conference in 1950 he acknowledged that the vessel had not assisted fishermen but it would now be refitted and start to survey crayfish grounds. Under Dwyer the vessel would never have any research plan but be sent to follow up each "new" prospect that was reported. Thus it spent some time on crayfish then followed up the Senibua tuna work, when Harold Rattenbury landed a ton of deep sea trevalla in May 1951 it was sent to explore those grounds (repeating some earlier work done by Roy Downie for CSIR). In conjunction with CSIR the Fisheries Division undertook intense studies of the scallop. This work began by Alan Tubb and continued by Wolf Fairbridge and Mick Olsen involved tagging and later diving and underwater photography and continued for over 20 years. In February 1947 CSIR began study of water movement in D'Entrecasteaux Channel and started hard hat diving for underwater observations of scallop beds. (AM Olsen CSIR and Tom Challenger did the diving.) 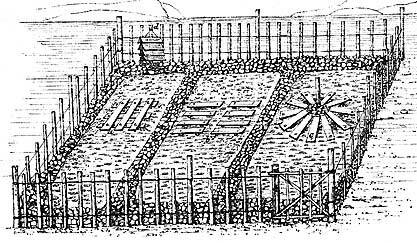 Scallop work included a transplant of 80,000 juveniles in an attempt to restored depleted beds. Scientific assessment of the size of the resource and the effects of dredging began with the use of underwater photography in 1953. The whitebait fishery in northern rivers was also investigated. Following comment in the newspapers Tom Challenger blamed pollution for loss of fish in the Derwent. In 1950 fisheries research lost three major figures Prof. Dakin died in April aged 67, the young research officer Wolf Fairbridge died suddenly in May, and Fowler retired through ill health after 21 years in fisheries. In 1960 CSIRO appointed Dr. A.G. Nicholls to lead the joint research program known as the Southern Pelagic Project. At a meeting of Tasmanian fishermen Kesteven indicated that the research would concentrate on the habits of tuna, salmon, barracouta and pilchards from the south east coast of New South Wales around Tasmania to South Australia. This ambitious project made slow progress and in February 1962 the Premier Eric Reece sought the assistance of Prime Minister Menzies in obtaining funds from the Fisheries Development Trust Account. Reece followed up his request with a visit to Canberra to press Tasmania's case for additional funds. CSIRO resumed tuna research in Tasmanian waters and the Derwent Hunter started tuna longlining in April 1962. However the vessel was judged to be no longer suitable for CSIRO research in Aug 1962 and sold. The South Australian government bought another Tasmanian fishing vessel Weerutta for research and surveying. This vessel had previously been used for similar work in Tasmania. The restructuring of CSIRO brought to an end thirty years of active collaboration between the Organisation and the Department of Agriculture in which CSIRO scientists exclusively carried out fisheries research around Tasmania and advised the Government. A M Olsen remained in Hobart until April 1963 undertaking crayfish investigations and an underwater photographic survey of scallop beds in D'Entrecasteaux Channel. With Olsen's departure to become Harvesting Manager with a new company harvesting the seaweed Macrocystis off the east coast, the state was left without an active fisheries research program for the first time since before World War II. Public concern at the state of the scallop fishery led the Legislative Council to appoint a Select Committee which recommended that the Department should establish a fisheries research program commencing with scallop investigations. A J Harrison was appointed as Marine Biologist to the Fisheries Division of the Department of Agriculture in 1964 and began a program of investigation into the scallop fishery. He had previously done post graduate research on scallops at the University of Tasmania. As the Division had no research facilities he was initially located in the Zoology Department at the University. Although population studies on scallops was the original research objective the new fishery for abalone soon demanded the attention of the new biologist. With the departure of Kesteven CSIRO fisheries research program began a long slide. The 1968 Commonwealth/States Fisheries Conference drew to the attention of Ministers " the fact that the expanding State expenditure and activity in fisheries are not being matched by an equivalent increase in CSIRO's fisheries research. "But as that organization declined the volume and importance of fisheries research being conducted by the State Departments was rapidly increasing. George Humphrey was blamed for diverting the Division's attention towards oceanography. The Tasmanian Government readily accepted responsibility for funding a fully-fledged research program. In March 1966 the Department of Agriculture announced that it would build a fisheries research laboratory on the old Quarantine Station site at Taroona. The Commonwealth Quarantine Station on Crayfish Point Taroona was selected as offering the best compromise between water quality and the convenience of a near-city location. A site with better water would have required building the facility at least an hour's travel from the city with the attendant staffing and logistic problems. The patrol vessel Penghana was modernised for research and equipped with underwater TV for scallop research in Sept. 1966. In June 1967 the Division began the first journal for the publication of fisheries research findings - Tasmanian Fisheries Research. The publication provided preliminary results of current research and reported survey results and findings that would not otherwise be reported in the scientific literature. Des Wolfe, technical officer previously with CSIRO, joined the Division and allowed research to go underwater greatly enhancing abalone research. The contract for the research laboratory was let in September 1968. Another biologist, Ross Winstanley, and second technical officer John Grant were appointed early in 1968 to begin crayfish research. The laboratory was completed in November 1969 and programs on crayfish and scallops began immediately. The Division was immeasurably strengthened by the recruitment of the brilliant New Zealander Trevor Dix as senior scientist and Colin Sumner. Dix began with work on scallops and a survey of sea urchin resources Another New Zealander, Brian Webb, materially assisted the development of the mackerel fishery and contributed to a much better understanding of the population. The marine chemist John Thomson did much to quieten the hysteria generated by the discovery of metals in seafood. During 1970 the Department sent the senior biologist A.J. Harrison on a four-month study tour to evaluate recent developments in fisheries research to better plan future Tasmanian programs. Aquaculture was already under consideration and his visit to Japan confirmed that this should be a major element of Division's research. In 1967 Harrison and John Grant convinced the fish factories at Dunalley and Margate to allow them to use their seawater pumping systems to maintain some tanks of live abalone. Thus by the time the new aquaria was finished at Taroona preliminary work had been completed. Scallop culture began in 1973 with spat collections in Coles Bay followed by Trevor Dix's the first attempts to rear larvae. Although scallop culture posed problems John Grant soon showed that juvenile abalone could be reliably produced. In cooperation with the University of New South Wales the first mussel farm was established in 1972. Between 1969 and 1975 the Fisheries Division of the Department of Agriculture underwent a transformation. The organisation assumed full responsibility for fisheries management and development based on fisheries science. Recognising that the industry had become confined to a very few fisheries the Division embarked on a program of encouraging development. Research and extension in aquaculture was a key component of the development program and the new laboratory at Taroona was specially built for this work. Surveys for scallops, squid, sea urchins and scale fish were conducted to demonstrate the extent of the State's resources. A new ocean going research vessel was built to supplement the charter of commercial vessels in exploratory fishing. The Division aimed to have a research unit at work on stock assessment in each of the major fisheries. The first 'new fisheries' to be assisted were old ones. After a break of over 80 years oyster culture had been revived and in 1971. Experts were contracted to assist the new farmers many of whom had a background in fruit growing. Colin Sumner was appointed to provide scientific support. His work on spat collection in the Tamar gave prior warning of a potentially fatal volatility in spatfall. Des Wolfe began surveying pelagic fish and exploring the potential to revive trawling. The first contributed to the establishment of a major purse seining and fishmeal industry based on jack mackerel. * Fishing for squid began in 1972 and Trevor Dix began a research program in 1974. Notwithstanding the developmental research the prime focus of the work was to better manage existing fisheries. Research into the population dynamics of crayfish, initially by Ross Winstanley and later by John Bradbury and abalone first by Harrison and later by Colin Sumner and Nancy Witherspoon resulted in a basic undertaking of the growth and mortality of both these animals. This research laid the foundation for good management and reassured the industry that these important fisheries would not suddenly collapse. The demonstration of the value of escape gaps in pots in 1967, the economic study into the crayfishery in 1969, and the studies on reproduction and pre recruit numbers had a major impact on the stability of rock lobster management. The volatility of scallops stocks was still a problem but a survey in Bass Strait in 1972 discovered a new fishery that would return well over $50 million to fishermen over the next 14 years. The survey carried out by the Division with the new research vessel Challenger showed in one project that the investment was worthwhile. The commercialisation of the atomic absorption spectrophotometer triggered a major attack on the quality of Australian seafoods. Chemists could now measure concentrations of metals at much lower levels. As the safety standards for food had often been set at the limits of earlier analytical methods the new equipment found some seafood particularly shellfish and shark exceeded those levels. Led by the Chemistry Department of the University of Tasmania a public health whirlwind enveloped the fishing industry. Dix and Thomson spent much time evaluating the true situation and defending the industry. The controversy forced the closure of oyster farms in the Derwent and Tamar and inflicted major damage on the shark fishery. For a time all fishing in the Derwent was prohibited. Research and development during this time benefited greatly Japanese assistance. During his 1970 visit to Japan Harrison was able to establish a co-operative research relationship based on the use of Hobart by the tuna longliners. When Japanese fishing vessels began to regularly use the port of Hobart in the late 1960s the Tasmanian Government started looking for reciprocal assistance in developing the State's fishing industry. An exchange program was arranged through the Overseas Fisheries Co-operation Foundation of Japan and over the next 15 years OFCF sent experts in trawling, squid fishing, the culture of trout and scallops to Tasmania and financial assistance to view the programs. In addition officers of the Division have been trained in Japan in aquaculture, particularly abalone and scallops, and purse seining for small vessels. In 1974 Minister Costello visited Japan followed two years later by Premier Nielsen. Following Costello's visit the Japanese sent a trawling expert to train local fishermen to build a trawl fishery. No other Australian fisheries agency has been able to develop such a program. In 1977 a report by the Chairman of Irish Sea Fisheries Board resulted in the establishment of the Tasmanian Fisheries Development Authority. The staff of the Sea Fisheries Division was transferred to a separate Fisheries Department with the Chairman of the Authority as head of department. Fisheries research was the principle function of the Fisheries Development Division. The Authority decided that to further stimulate development all research into established fisheries other than the monitoring of catch and effort and catch sampling should be suspended. Thus would free up staff and facilities to expand the aquaculture program and to develop a trawl fishery. These programs had been underway for some time but would now get top priority. The risk to the lobster, scallop and abalone fisheries by stopping research was felt to be justified. But when the suspension extended for more than four years the researchers forced a review of the policy. Whilst the Challenger was converted for trawling the Division used commercial vessels to survey resources. Pair trawling, ring netting, prawn trawling, drift-netting, trot-lining and drop-lining were all assessed between 1977 and 1981. A major survey for deepsea trawl fish led to the discovery of the orange roughy and the development of the blue grenadier fishery. The TFDA lent considerable support to Petuna Seafoods and Peter Rockliffe was able to play a leading role in the development of the fishery. The success of the trawl development work led to a goldrush of investment, particularly from Victoria. The resource was in waters beyond the jurisdiction of Tasmania and the State was unable to fully benefit from the pioneering work. Quite soon Commonwealth Government lost control of the fishery and much of the resource, particularly the orange roughy, was badly exploited. Under the TFDA the Taroona aquarium was converted into an oyster hatchery in 1978. Natural spatfalls had failed and the hatchery saved the fledgling oyster industry. In 1980 the hatchery function was taken over by a commercial facility at Bicheno. Work on mussel culture began in July 1979 expanding on the cooperative venture begun in 1972.In March 1980 pilot scale studies on rearing salmonids in the sea began. Michael Hortle began this work with rainbow trout in association with Richard Doedens of Russel falls Trout Farm (later Nortas). In 1982, a Norwegian professor in animal genetics, Harald Skjervold, visited Tasmania and spoke convincingly about the potential for establishing a salmon industry on the Tasmanian coast. Skjervold was instrumental in establishing contacts between Tasmanian interests and Norwegian expertise (particularly through what was then a combined research and smolt production facility at Sunndalsora). Again Tasmanian researchers were assisted by foreigners - this time from the Norwegian Company Noraqua. So more than a century after the first attempt to create a salmon industry Trevor Dix and Michael Hortle tried again. As Brendan O'Kelly was completing his review of the TFDA the Taroona Laboratory was part way through one of its major projects. The experimental area had been converted to a quarantined salmon hatchery to receive the Atlantic Salmon eggs from the Gaden Hatchery in NSW. The salmon stock was originally brought from River Philip in Nova Scotia, Canada in 1963-1965). Almost half the eggs were successfully reared and over the next year the practical reality of salmon culture was demonstrated with 10,000 fish in cages off Bruny Island. Legislation was set up in order to ensure a financial basis for research and development, through the establishment of Salmon Enterprises of Tasmania P/L (SALTAS). Through The Salt-Water Salmonid Culture Act 1985, SALTAS was granted a 10-year moratorium on the production of smolt. The monopoly on smolts enabled Saltas to determine price levels on smolts that would create a sufficient surplus for funding research and development. The Act also defined the role to be played by State Government in aiding SALTAS in the development of the industry. Smolts from Taroona were then brought to Hawkers Point at Dover (Tasmanian Atlantic salmon) and became the first Atlantic salmon ever to be harvested in Tasmania in 1986. Another batch was brought to Bruny Island (Atlantic Fisheries, later to become Nortas). Encouraging results called for the immediate construction of a full-scale hatchery and development of commercial sea farms from 1985. By mid 1985 the joint venture sea farm at Dover was underway as was a new hatchery at Wayatinah. The confidence and professionalism of the venture inspired others to invest. Interest was so great that the Government had to call a halt to applications for new farms in just two years. Salmon (and trout) farming provided income and jobs in rural areas in rearing the fish, processing and packaging, and in associated industries. The quality of the packing and marketing salmon also lifted the quality of other Tasmanian seafood. With two products Tasmanian salmon and King Island cream the State had its long sort after image for high quality food. Since 1987 SALTAS has confined its activities to hatchery production of salmonid smolts and research and extension work for the industry. It retains a monopoly on the production of Atlantic Salmon smolt until 1995 under the terms of the Salt-Water Salmonid Culture Act of 1985. Annual production of salmon grew steadily and reached 3000 tonnes in 1991-2 but ocean trout production has stabilised at 400 tonnes. The number of active farms seems to have settled down to just over twenty and the industry concentrates on exporting its fish fresh to Japan where it attracts a premium price. The predictions of the Norwegian expert, Dr. Harald Skervold, have been borne out by the achievements of Tasmanian salmon farmers. By 1992 up to 4.3 kg of salmon per smolt was attained by some farmers and salmon grow from 80 gm to market size (3.4 - 4.5 kg) after just 12 to 15 months in sea cages. Providing worldwide marketing difficulties are solved production is projected to reach 8,000 tonnes by 1999. In 1991-2 farm gate prices were between $12 and $15 per kg. The industry provides some 350 full time jobs in coastal and rural areas where other employment opportunities are limited. With the salmon development well established the Department embarked on two new aquaculture ventures. It formed another joint venture to study the feasibility of reseeding scallop beds. The harvesting of natural scallop resources had continued to be a highly volatile industry. After good catches between 1980 and 1984 production steadily declined and by 1991 only 26 Tasmanian vessels were fishing and these all operated in the Central Zone of Bass Strait. Scallop fishing in Tasmanian waters ceased in 1987. During the 1980s the Japanese had revolutionised the scallop industry in that country by large scale reseeding of scallop fishing grounds. The Overseas Fisheries Co-operation Foundation of Japan agreed to provide the expertise and some equipment to test the technique in Tasmania. Much like the SALTAS joint venture the scallop structure was tripartite with local participation through aquaculturists and former scallop fishermen keen to diversify. The Department established a unit to be led by John Thomson to conduct the trials and OFCF sent experts and equipment. The objective was to rehabilitate areas that were formerly fished for scallops and to smooth out some of the notorious fluctuations in supply. The trials in Oyster Bay and inside Maria Island involved considerable logistical difficulties as very large numbers of scallops were involved. Even after the early promise had faded, scallop enhancement was given every chance to succeed through the wholehearted support of David Llewellyn, when he was Minister. Although the project showed promise it failed to deliver the promises made by its proponents. The Government ended its contributions when the five-year agreement with OFCF ended in September 1992. Forty-five of Tasmania's marine farms were licensed to grow scallops and a small number continue to produce; about a tonne of scallop meat was being harvested each week in early 1992. Oyster farming was another industry greatly assisted by the TFDA that did not fully realise its potential until the Authority had been abandoned. Much research, monitoring and management by the Department of Fisheries was required to lift production from less than 1 million dozen in 1985-6 to almost 3 million dozen in 1990-91. Mussel farming produced 200 tonnes in the same year. Over 1000 hectares of oyster farms spread amongst 93 leases contribute to the harvest. Further expansion is likely now that spat is assured through hatcheries and quality maintained through the management program. The culture of striped trumpeter program was promoted by researchers as having similar potential to salmon farming. Courting the TDA they rashly promised quick success if additional funds were provided. But the results were also disappointing and the culture of this fish proved much more difficult than Dr Stanley had believed. Basic knowledge of the biology of the species needed painstaking research and results could not be accelerated. The failure of these projects to live up to expectations has been a great disappointment. Although the high profile aquaculture projects attracted much attention very high quality research of great value to the industry was conducted by the Fisheries Division that was led by Kim Evans after June 1988. Evans proved to be a fine leader and he gathered and built a highly regarded team of young scientists. Howell Williams was responsible for jack mackerel, Jeremy Lyle for trawl fish, Will Zaccharin, scallops, Warwick Nash, abalone, and Robert Kennedy, rock lobster. The hallmarks of this group were their internal cohesiveness and commitment to a sustaining the fisheries near maximum levels of production. This was no easy task in the case of both scallops and jack mackerel where stocks fluctuated wildly and orange roughy that grew very slowly. Formal management plans were revised or created for all of these fisheries. Whilst primarily managed by the Commonwealth the Department played a major role in trawl fish research and stock assessment. The astute Lyle was particularly successful in marshalling the resources of the trawl fishermen in studying the stocks.